Chicago Cubs to Host Back-to-Back ESPN Sunday Night Baseball Telecasts in May 2019 - ESPN Press Room U.S.
On Sunday, May 5, the Cubs will host their long-time rivals, the St. Louis Cardinals, led by new acquisition Paul Goldschmidt. On Sunday, May 12, Sunday Night Baseball returns to the North Side as the Cubs host the Milwaukee Brewers and Christian Yelich. Matt Vasgersian, entering his second season as the voice of Sunday Night Baseball, will provide commentary with analysts Alex Rodriguez and Jessica Mendoza and reporter Buster Olney. Additionally, Baseball Tonight: Sunday Night Countdown presented by Chevrolet will precede Sunday Night Baseball at 6 p.m.
ESPN previously announced the Cubs will visit the Los Angeles Dodgers on its June 16 edition of Sunday Night Baseball. The Cubs are also slated to play the Pittsburgh Pirates in the 2019 MLB Little League Classic from Williamsport, Pa. on August 18. 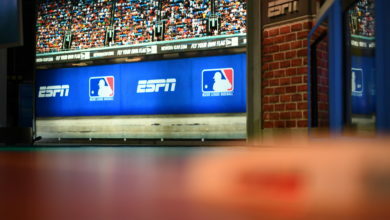 For more information about the 30th season of Sunday Night Baseball, visit ESPN Media Zone.